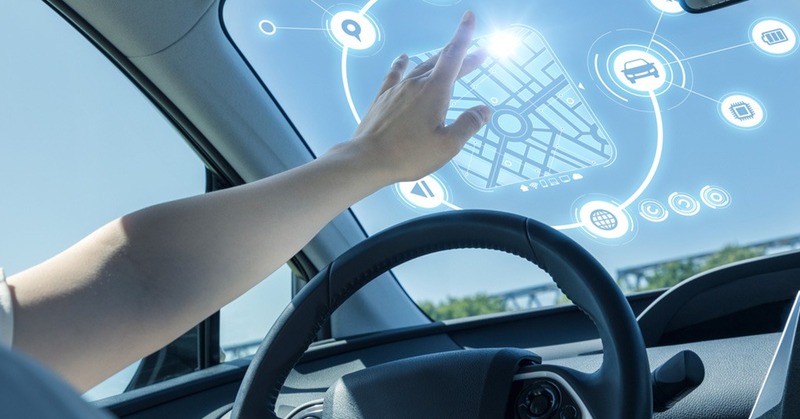 KPMG announced the findings of its 2019 Autonomous Vehicles Readiness Index (AVRI). 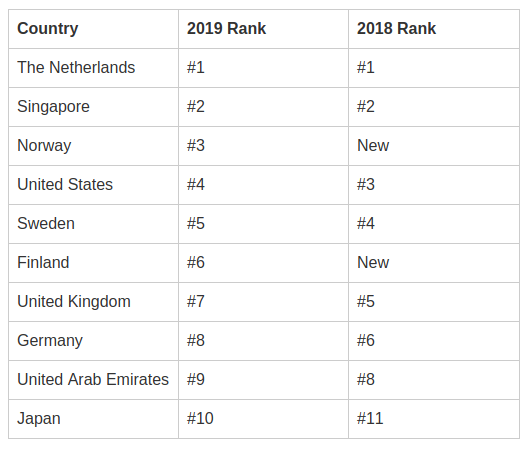 The Netherlands topped the ranking, followed by Singapore, Norway, the United States, and Sweden. The Netherlands, ranked number one for a second year, is working with neighbors to adopt AV technology for freight, with a plan to launch platoons of more than 100 driverless trucks on major routes from Amsterdam to Antwerp and Rotterdam to the Ruhr valley. With a leading university, second-ranked Singapore has created a test town for driverless vehicles complete with traffic lights, bus stops, skyscrapers and a rain machine to recreate its extremely wet, tropical weather.